Planning a family trip to Southern California? We’ve got three destinations that offer plenty of sun-soaking adventures for all ages. A favorite city of Arizonans, San Diego is packed with things to do. 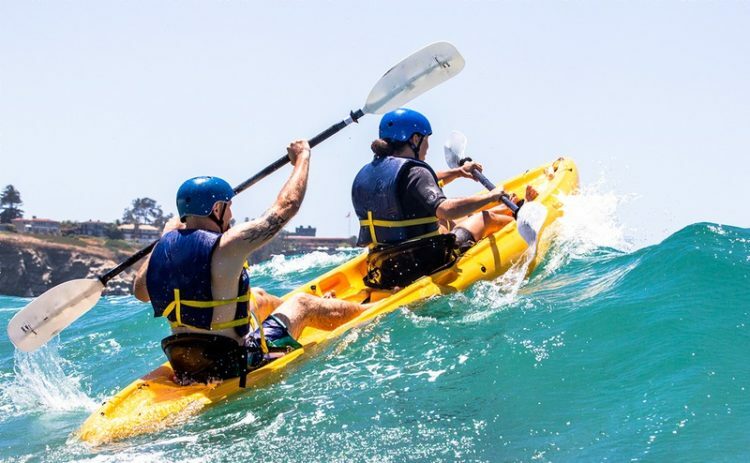 Set out on the water with Everyday California, who provides daily guided kayak or snorkel tours that take travelers through the La Jolla Seven Sea Caves. For those who are more independent, take your own self-guided tour by renting kayaks, snorkel gear, surfboards and paddleboards. To rest your head, San Diego has plenty of options including the Kimpton Hotel Palomar, a boutique, urban option that boasts fun amenities like a rooftop infinity-edge pool and beer butler and is closely located to San Diego’s popular destinations like the Gaslamp Quarter and waterfront. For a more relaxing stay, Hotel Solamar is located in the trendy East Village near Petco Park and features a rooftop pool, in-room spa treatments and rooftop yoga sessions. Plus, both hotels welcome furry friends. For dinner, pull up a seat at JSix, known for its California cuisine with Filipino influence from Executive Chef Anthony Sinsay. Fill up on shareable plates like Lumpia Shanghai, Filipino spring rolls served with a garlic chili vinegar, or Foie Gras Short Stack, buttermilk pancakes served with apple-brandy syrup and Foie Gras mousse. 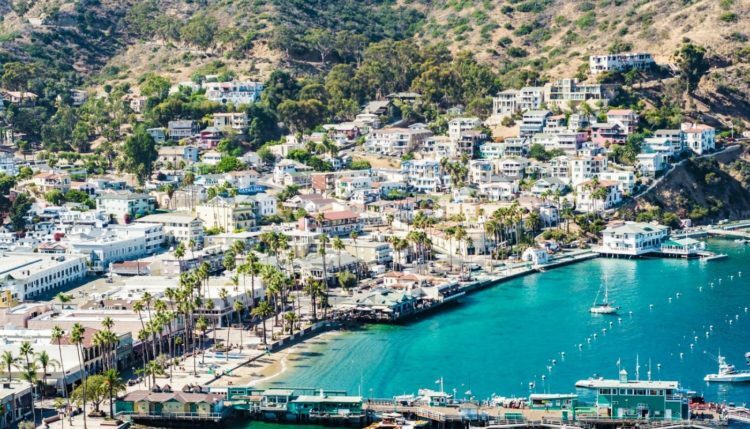 Trek 26 miles off the coast of Los Angeles to SoCal’s secret island escape, Catalina Island. 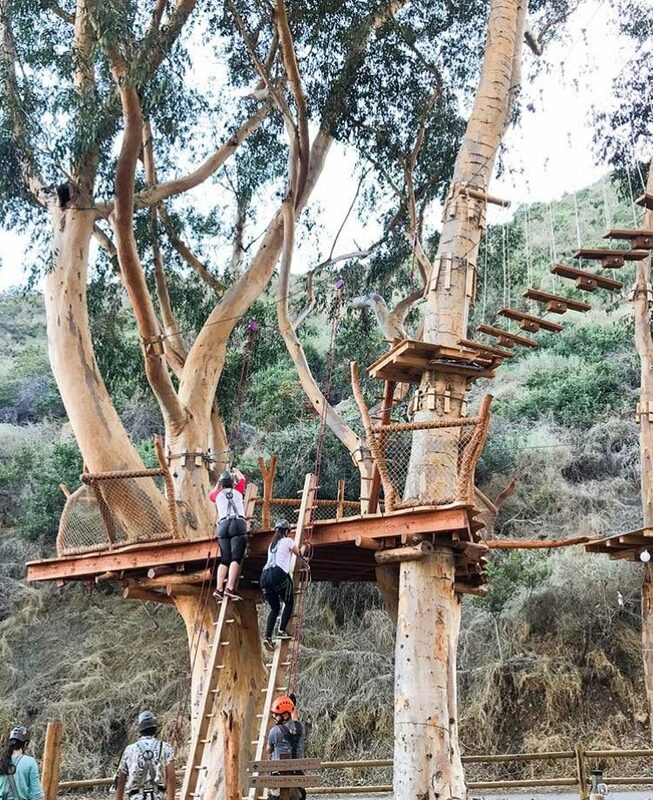 For those seeking an adrenaline rush, Catalina Aerial Adventure is an aerial ropes course in the seaside town of Avalon and features five trails suspended in the trees above Descanso Canyon. Venture through ladders, suspended bridges, balance beams, zip lines and more. Other thrill-seeking options include the Catalina Rock Climbing Wall, Zip Line Eco Tour or the new Trans-Catalina Trail. The trail stretches 38.5 miles across the island and has several campsites along the way. Kick back at Island Spa Catalina, the island’s first-ever destination resort spa. Located inside the El Encanto building, the spa features island-inspired treatments, hot sand therapy tables, lounges, an outdoor deck and more. For a more beachy vibe, head to Harbor Sands in Two Harbors, which has been completely revamped. Find fully-outfitted palapas, food and beverage service and a South Pacific atmosphere. Or head to Descanso Beach Club, which has one of the last private beaches in California with public access. Book a three or more night stay at Pavilion Hotel or Mt. Ada and get a $50 credit towards more than 24 exciting activities and adventures as part of the Spring Break Island Adventure Package. Valid for stays through May 24, 2018. Perfectly located between Los Angeles and San Diego, Buena Park is home to seven of Orange County’s main attractions including California’s first theme park, a waterpark, and three of the world’s most interactive dinner shows, making the small town perfect for the whole family. Spend the day at Knott’s Berry Farm, a fun family theme park and an actual working berry farm where every boysenberry around the world originates from. A variety of rides and attractions cater to all ages and for those looking to take full advantage of their day, the Fast Lane wristband, top-notch dining options and unlimited FunPix serve up the VIP treatment. 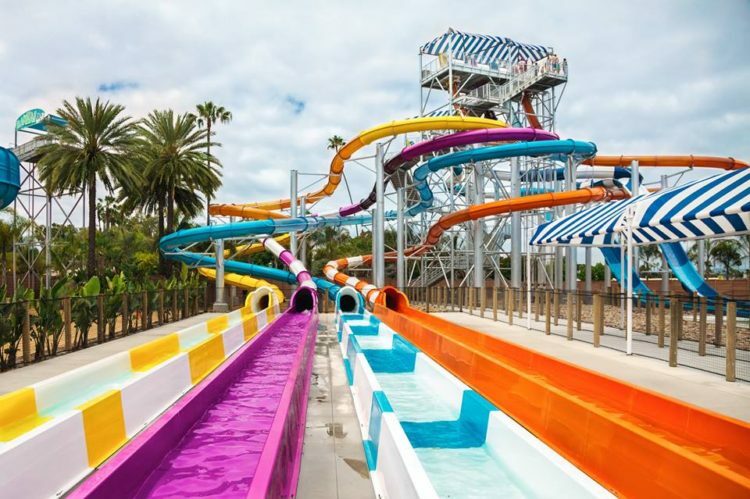 For a day of cooling off, Knott’s Soak City Waterpark recently completed a 2-acre expansion and added seven new waterslides, new shaded areas, cabanas and newly remodeled Longboard’s Grill. Make dinner an experience for the whole family at Medieval Times Dinner & Tournament. The entire experience transports diners back to the 1500s with valiant knights, squires, a princess and king. Upgrade your experience with the King’s Royalty package with included perks like priority castle access, VIP seating and more.